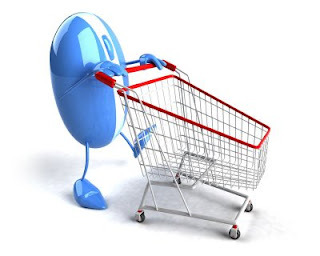 Smartcard News Blog: Is it safe to Shop Online? Well now that Xmas is over it’s interesting to talk to friends to see how much shopping they actually did over the internet. Hands up I did about half my shopping on the internet, gadgets for guys are best bought this way far less hassle and nowhere near so boring. I just can’t believe how excited these men get over toys (I can’t call them gadgets) that seem to have no other purpose in life than making strange noises or flashes. I got a Cajon drum from Father Xmas which I’m sure was negotiated over the internet but I’ve no idea what happened to my leather boots that I was rather hoping for? Perhaps they’re not so easy to buy on the internet.Anyway the general consensus seems to be that most people are doing a large part of their shopping on the internet, probably more than me. So the question is ‘are you worried about the security?’ do you have a moment to hear the results? In every case they were using either a credit or debit card but often with the card information stored at the seller (e.g. Amazon) but nobody was using the security widgets discussed in the Newsletter this month. So the first question surrounded the choice of card. 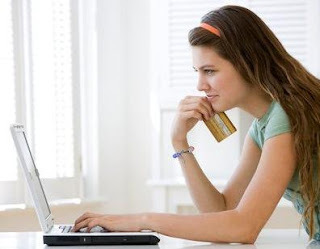 Would you prefer to use a credit or debit card for your purchases on the internet? The answers were all about the free credit with a credit card or the financial planning offered by a debit card. Nobody seemed to think about the fact that your current account is effectively exposed by the use of a debit card as we discussed last month, I really must get my friends reading this blog! Do you have any reservations about the merchant holding your card information? Again it was interesting, just about everybody was happy with Amazon. They really do have an enviable reputation probably better than any bank. Also they clearly are a (the?) major player in the internet. I couldn’t resist it so I had to ask ‘do you use eBay and how do you pay?’ Pretty unanimous again and as for payment it was of course PayPal. So clearly people don’t mind PayPal holding their card or bank account information. So back to the core subject ‘are you happy to pass your card details over the internet to an unknown merchant?’ Again it was interesting, just about everybody was a little concerned but they all do it. Pursuing this further what became clear was that people (my friends at least) were confident that in the event of fraud that they would be covered by the bank who would sort everything out. Interesting to note here that a few people thought the credit card company would sort it out, they hadn’t fully appreciated that the cards are issued by some bank that is responsible for any problems with the card. An interesting brand discussion could be had here but we’ll leave that for another day. Identity theft was a big issue, people were concerned about some villain using their identity in some fraudulent way but that wasn’t directly associated with using the debit or credit card, not until you point out of course that large merchants have been known to lose this information on rather a large scale which can be used for more than just fraudulent payments on the card, more on this in the Newsletter. Well we’ve got there, how about the widget I said, you know the calculator type device that makes your payments more secure like when you are doing electronic banking? You know when you have said something particularly boring when people’s eyes glaze over and they immediately change the subject. I had several goes at this but the best I got was what a jolly good idea but perhaps I won’t need to use it! Now we all know the problem is getting worse but who is going to blink first? There are two approaches, either we have to have a more secure way of accessing the internet with software or we have to insert a security widget into the payment chain that the consumer finds effectively transparent. There’s an opportunity here for someone. Just as a note one friend has a service from his bank that sends him an SMS when he makes a payment over £25, he loves it and I think I could become quite attached. See you in Barcelona at the Mobile conference.